Single column will display a single column like ACT. Unique column for each user will make a column for each user, users can be reordered or colored. Unique column for each resource will make a column for each resource, resources can be reordered or colored. Unique column for each type will make a column for each activity type, types can be reordered or colored. 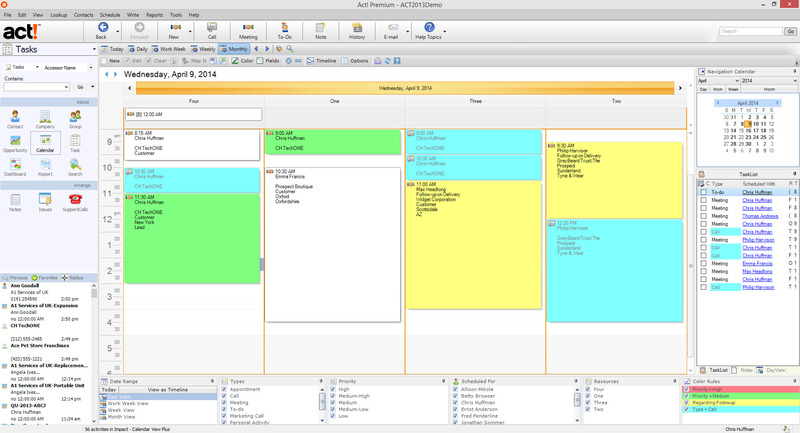 Unique column for each priority will make a column for each activity priority, priorities can be reordered or colored. Display activity in each column... when checked will place the activity in the resource column depending on the first attached resource, when not checked it will display in resource column for each attached resource. 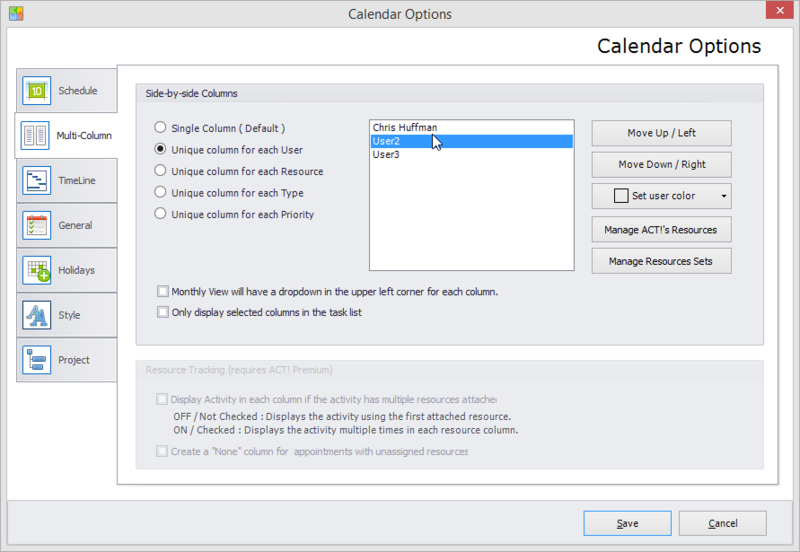 Create a "None" column for appointments with unassigned resources when checked will place any activity without resources in a none column. Here is a screen shot of the multi-column options set to resources. In this view we are displaying four resources side by side.